Take a look at the following chart. These prepositions all express a direction. Every preposition is illustrated with a picture and some example sentences. The woman is running up the hill. You need to walk up the stairs to get to the bedrooms. The children love to climb up trees. They're going up to their rooms. How about driving up to Canada? She goes up to the attic to look for her old stuff. She's running down the hill. The children run down the stairs. He slipped and fell down the stairs. Every time she feels ashamed, she looks down. She's going down to the laundry. Although he is famous, he is quite down-to-earth. They all went down to the living room. The couple is walking across the bridge. It's hard to transport something across the border. He sailed across the ocean. They swam across the lake. They took a walk along the road. She was driving along Main Street. Will you come along to the party? The kids are playing around the house. When she saw him, she ran around the car to greet him. The dog walked around the tree, then sat down. The whole family was running around the park. They want to make a trip around the world. The young woman is jumping over the puddle. He leaned over the counter. There were over 30 people at the party. A bird flew over his head. 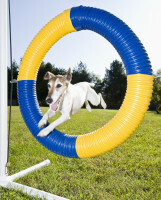 The dog is jumping through the loop. You need to go through the living room to reach the kitchen. The woman looked through the car window. When she heard the buzz, she walked in. He is walking into the house. She puts the plates into the cupboard. When she walked into the room, she screamed. Let's go into the pool! When they drove into the city, they ran out of gas. I need to go out tonight. The woman is leaning out of the car window. The keys fell out of his hands. He took her gift out of the box.